Meningiomas are relatively uncommon neoplasms in the pediatric population and posterior fossa is a very rare location for these tumors. 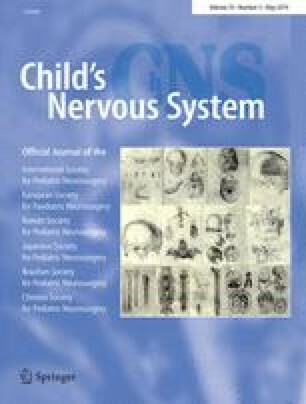 Only a few cases of contralateral cranial nerve deficits have been reported but no cases of pediatric meningioma with contralateral facial nerve paresis have been documented in literature. We present a 4 year old girl with found postoperative contralateral facial nerve paresis. The possible pathogenesis and literature review concerning this complication are discussed. The mechanisms leading to this complication could be distortion of brainstem, traction during resection and subsequent compression of brainstem against the contralateral petrous or tentorium.